At Codonics, you'll find knowledgeable, solutions-oriented people committed to delivering quality imaging products and outstanding customer service. 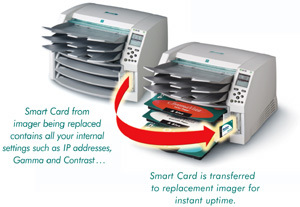 Our Horizon imager is designed with the highest standards of quality and reliability in mind. With over 25,000 imager installations worldwide, Codonics has the experience and global reach to provide the service and support you deserve, plus the quality and reliability you demand. 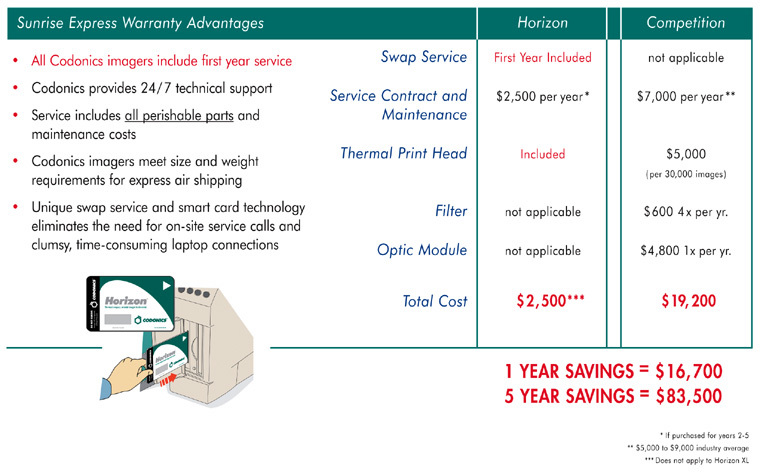 The compact size of Horizon allows for our unique "swap" service, providing greater uptime and a lower total cost than traditional on-site service plans, focusing you on your patients and workflow, not on your diagnostic imager.